Cooperative learning has been used in various settings across disciplines and has been shown to contribute to improving learning outcomes. With the recent development of new information and communication technologies there is a need to understand how these tools support or challenge existing principles of cooperative learning in the classroom. The present study sought to gain insights into the nature of cooperation between high school students to play an educational video game for learning English as a Foreign Language (EFL). It also aimed to elicit information on the perceived impact of the game on EFL learning outcomes. Forty-seven (47) high school students from Burkina Faso interacted with an educational video game designed for EFL learning over a period of four weeks and took part in focus-group interviews to discuss their experiences. The results of the study indicated that effective cooperation took place in various teams during gameplay. The majority of the participants reported that interacting with the game in small teams contributed to improving their EFL vocabulary and writing knowledge as well as their motivation. Recommendations are made for structuring cooperative game-based language learning. Bado, N. & Franklin, T. (2014). Cooperative Game-based Learning in the English as a Foreign Language Classroom. Issues and Trends in Educational Technology, 2 (2),. University of Arizona Libraries. Retrieved April 23, 2019 from https://www.learntechlib.org/p/150765/. Acocella, I. (2012). The focus groups in social research: Advantages and disadvantages. Quality& Quantity, 46, 1125–1136. DOI10.1007/s11135-0119600-4. Bradley, L., Lindström, B., & Rystedt, H. (2010). Rationalities of collaboration for language learning in a wiki. ReCALL, 22 (2), 247-265. Casey, G. (2013). Building a student-centered learning framework using social framework in the middle years classroom: An action research study. 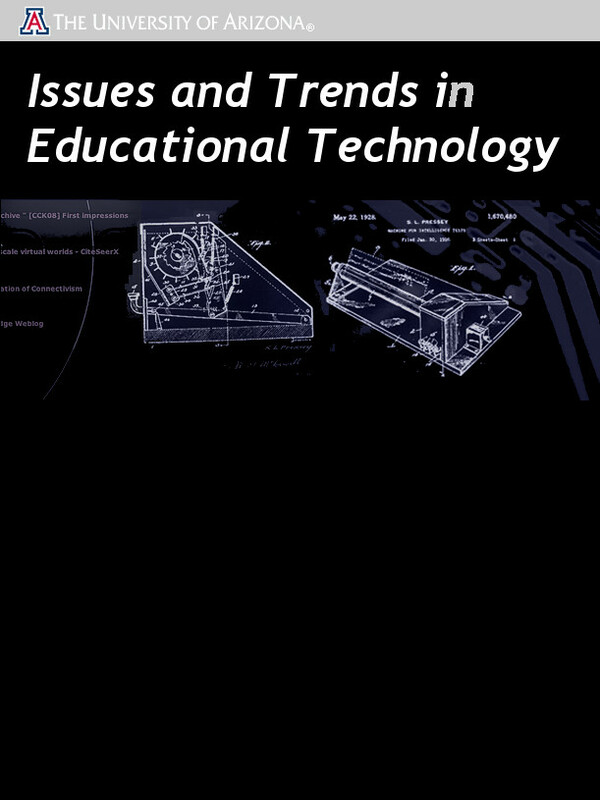 Journal of Information Technology Education: Research, 12, 159-189. Chiong, R., & Jovanovic, J. (2012). Collaborative learning in online study groups: An evolutionary game theory perspective. Journal of Information Technology Education: Research, 11, 81-101. DeHaan, J., Reed, W.M., & Kuwada, K. (2010). The effect of interactivity with a music videogame on second language vocabulary recall. Language Learning& Technology, 14 (2), 74-94. Dillenbourg P. (1999). What do you mean by collaborative learning? In P. Dillenbourg (Ed.) Collaborative-learning: Cognitive and computational approaches. (pp.1-19). Garcia-Carbonell, A., Rising, B., Montero, B., & Watts, F. (2001). Simulation/gaming and the acquisition of communicative competence in another language. Simulation& Gaming: An Interdisciplinary Journal, 32, 481-491. Hanson-Smith, E. (2013). Trace Effects/ language effects: Scripting for a language practice adventure Game. CALL IS Academic Session. TESOL Convention, Dallas, TX. Johnson D.W., & Johnson, R. (1989). Cooperation and competition: Theory and research. Edina, MN: interaction Book Company. Johnson, R., & Johnson, D. (1994). An overview of cooperative learning. In R.V.A.N.J. Thousand (Ed. ), Creativity and collaborative learning: A Practical guide to empowering students and teachers (pp. 31-43). Baltimore, MD: Paul H. Brookes. Kessler, G., Bikowski, D., & Boggs, J. (2012). Collaborative writing among second language learners in academic web-based projects. Language Learning& Technology, 16 (1), 91-109. Kozar, O. (2010). Towards better groupwork: Seeing the difference between cooperation and collaboration. English Teaching Forums, 2, 16-23. Liu, T.Y. (2009). A context-aware ubiquitous learning environment for language listening and speaking. Journal of Computer Assisted Learning, 25, 515–527. Peterson, M. (2010). The use of computerized games and simulations in computer assisted language learning: A meta-analysis of research. Simulation& Gaming: An Interdisciplinary Journal, 40(1), 863-885. Rankin, Y., Morrison, D., McNeal, M., Gooch, B., & Shute, M. (2009). Time will tell: Ingame social interactions that facilitate second language acquisition. In R.M. Young (Ed. ), Proceedings of the 4th international conference on foundations of digital games (pp. 161–168). New York: ACM. Schwienhorst, K. (2002). Why virtual, why environments? Implementing virtual reality concepts in computer-assisted language learning. Simulation& Gaming: An Interdisciplinary Journal, 33, 196-209. Squire, K. (2006). From content to context: Videogames as designed experience. Educational Researcher 35(8), 19–29. Struppert, A. (2010). It’s a whole new fun different way to learn. Students’ perceptions of learning with an Electronic simulation: Selected results from three case studies in an Australian, an American and a Swiss middle school. The International Journal of Learning, 17(9), 363-376. Sykes, J.M. (2008). A Dynamic approach to social interaction: Synthetic immersive environments& Spanish pragmatics [Dissertation] Minnesota: University of Minnesota. Tabor, S.W., & Minch, R.P. (2013). Student adoption and development of digital learning media: Action research and recommended practices. Journal of Information Technology Education: Research, 12, 203-223. Thorne, S.L. (2008). Transcultural communication in open Internet environments and massively multiplayer online games. In S. Magnan (Ed. ), Mediating discourse online (pp. 305-327). Amsterdam: John Benjamins. Thorne, S.L., Black, R.W., & Sykes, J.M. (2009). Second language use, socialization, and learning in Internet interest communities and online gaming. The Modern Language Journal, 93, 802-821. 17United States Department of State. (2012). Trace Effects. Available at: http://americanenglish.state.gov/trace-effects Vygotsky, L.S. (1978). Mind in society: The development of higher psychological processes. Cambridge, MA: Harvard University Press. Wong, L.-H., Hsu, C.-K., Sun, J., & Boticki, I. (2013). How flexible grouping affects the collaborative patterns in a mobile-assisted Chinese character learning game? Educational Technology& Society, 16 (2), 174–187. Zhang, A. (2012). Cooperative learning and soft skills training in an IT course. Journal of Information Technology Education: Research, 11, 65-79.